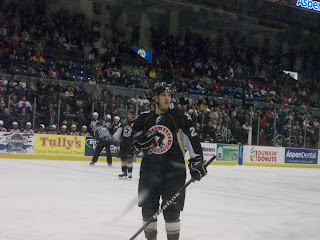 This week, the Wilkes-Barre/Scranton Penguins hit the road so I went with them. 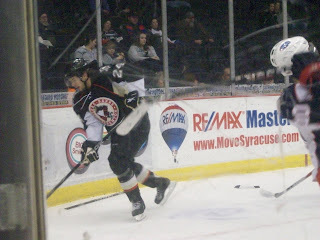 In this post, you will see photos of the WBS/Syracuse game from Friday, 1/22/10. There will be more pictures to come though. I also attended the Pittsburgh Penguins and Philadelphia Flyers game this past Sunday and was able to get some great photos there as well. All pictures are my property and not to be downloaded or used without prior permission. 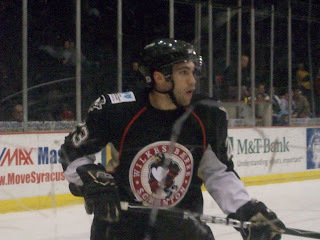 Tim Wallace moves the puck along the boards. 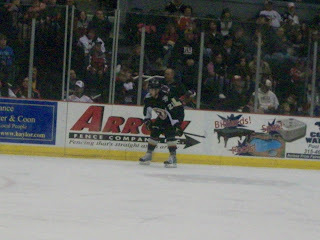 Joe Vitale during a break in the action. 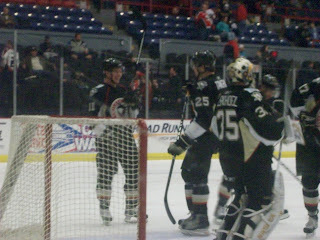 Zach Sill and Eric Tangradi share a laugh during warmups. 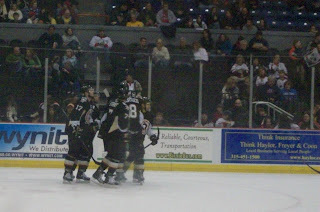 Penguins players celebrate a second period goal. 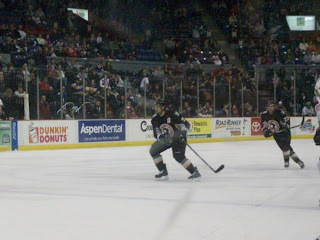 Deryk Engelland follows the play. 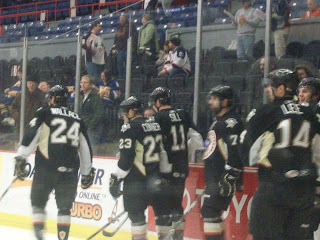 Left to right: Tim Wallace, Chris Conner, Zach Sill, Brian Strait, Ben Lovejoy, and Chris Lee wait to take practice shots during warmups. 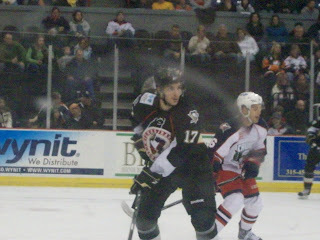 Luca Caputi looks to make his next move. 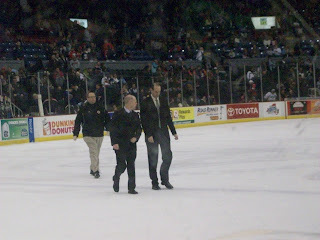 WBS coaches John Hynes (front left) and Todd Reirden go back to the locker room at the end of the first period.